INWIN has released several computer cases this past year which have done quite well even in the presently depressed global economy. TechwareLabs alone has reviewed several of INWIN’s new cases which include, “Allure,” and the “B2” and have been very impressed with their design and function. Recently, INWIN has now sent us their “X-Fighter” case to review which initially looked a lot like the INWIN B2 case, but shortly after removing the case from the box, we were pleasantly surprised by the differences. Lets take a close look at what it has to offer. 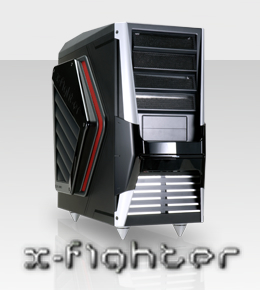 Like most mid-tower cases, the x-fighter by INWIN is outfitted with several 5.25″ external drive bays along with two 3.5″ bays. 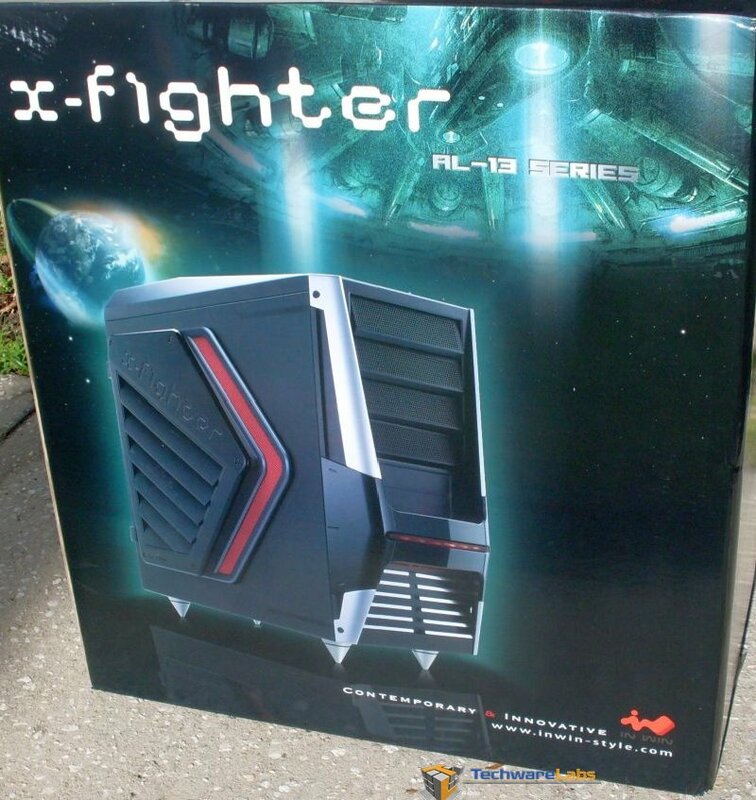 The arrangement of the location of these external drives is nothing new to mid-towercases, but the rest of the X-fighters configuration is something unique. The side panel a somewhat large air scoop similar the B2 case, but a slight bit bigger.